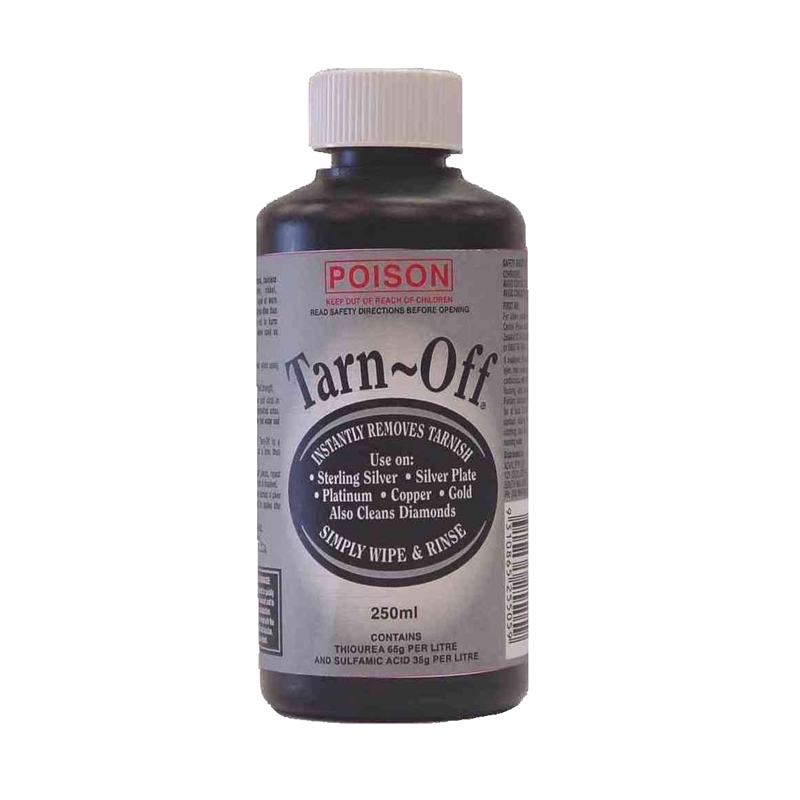 Tarn Off Metal Polish Cleaner for use on Sterling Silver, Silver Plate, Platinum, Copper, & Gold. 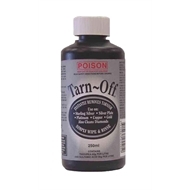 Using gloves, dip a cotton ball or soft cloth in Tarn Off and wipe onto the tarnished area. Alternatively soak the item in a mixture of 50/50 Tarn Off and warm water with a few drops of dishwashing detergent. Rinse immediately under hot water and wipe dry. 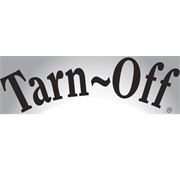 Avoid exposure - obtain special instructions term adverse effects before use.